Dungeons, Dragons, and Death Await! Armed with knowledge of a villainous wizard’s plans, a party of heroes must venture into the dreaded Shadescar Rift, a deep cave that leads into the dark tunnels beneath the earth. Legends say that it was created by the claw of some terrible beast. Locals stay well clear of the rift and claim it is the home of nightmare creatures that prey on the unwary. But only by braving such dangers can the PCs hope to stop their mysterious enemy. If they fail, he will unleash a great and terrible power upon the world. 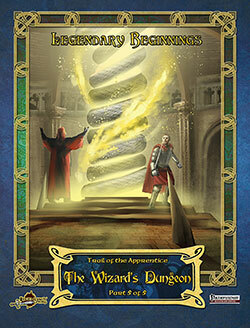 The Wizard’s Dungeon is an adventure for 5th-level characters. It is the final adventure in the Trail of the Apprentice saga, a full campaign made up of 5 interconnected adventure modules for the Pathfinder Roleplaying Game! 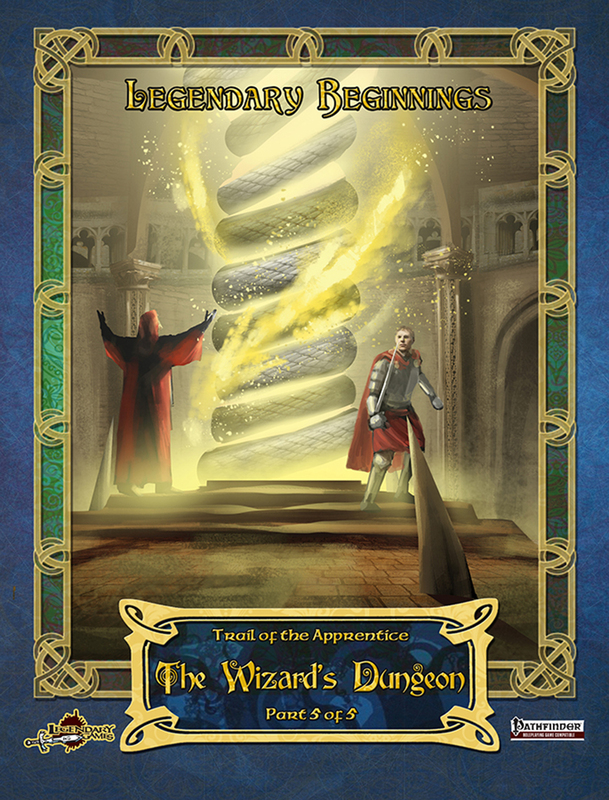 The Trail of the Apprentice saga and all adventures in the the Legendary Beginnings line from Legendary Games are designed as exciting adventures suitable for all ages, but specially designed for those new to roleplaying and those on the younger side. Download includes a 62-page adventure plus a 14-page art and map folio, including unkeyed player-friendly maps! Grab this awesome adventure today and Make Your Game Legendary!